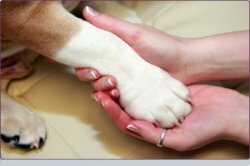 Support and grieving information and resources for people who have loved a beloved pet. Includes memorial and condolence gifts. Pet memorial products: various sizes Pet Caskets for dogs, cats, and other pets, Pet Casket Liners, Pet Memorial Markers with Urn, Pet Memorial Keepsakes. Casket Liners shipped FREE. For the sentimental pet family. We offer individual pet cremations with an assigned serial number. All arrangements are handled by a licensed funeral director. We offer a full line of custom urns and even make house calls!